Edit and save audio files in MP3, FLAC, WAV, M4A, WMA, AAC, MP2, AMR, OGG, etc. with AVS Audio Editor. 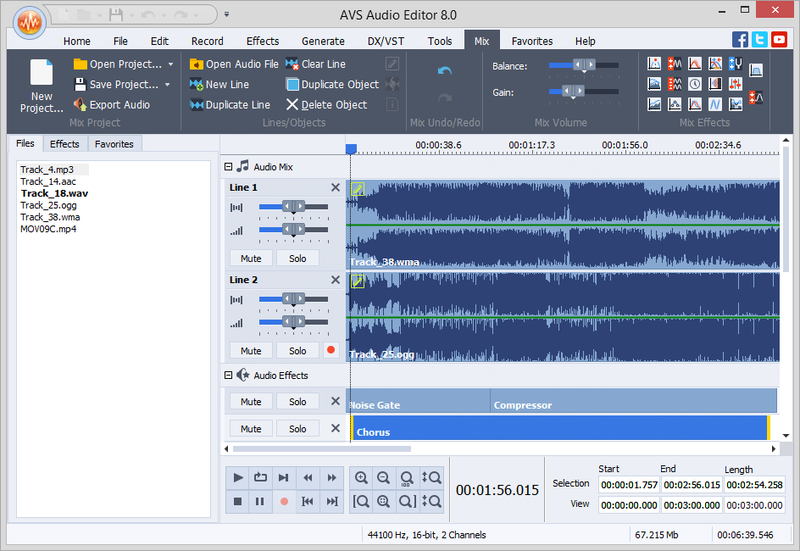 Cut, join, trim, mix, delete parts, split with AVS Audio Editor. Use Timeline for maximum precision. Use specially designed filters to remove irritating sounds like roaring, hissing, crackling, etc. Select between 20 built-in effects and filters including delay, flanger, chorus, reverb, and more. 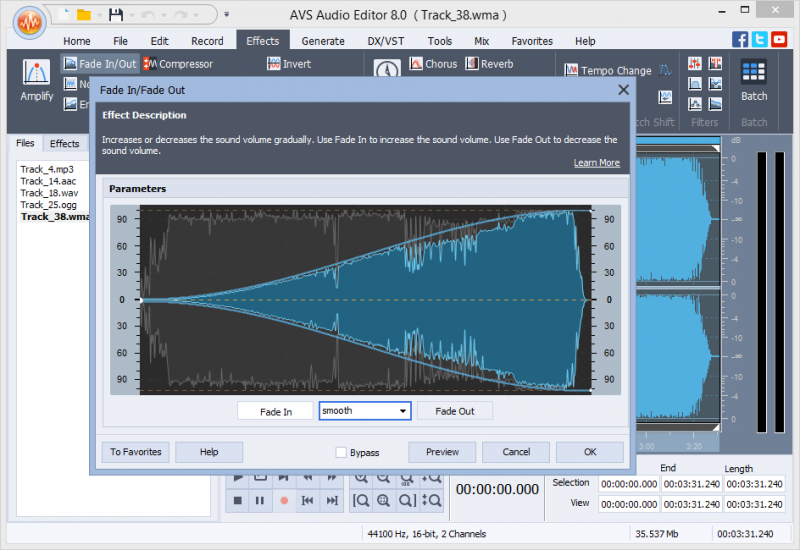 Mix audio and blend several audio tracks. AVS Audio Editor saves output files in any popular format. Record audio data from various inputs like microphone, vinyl records, and other input lines on a sound card. 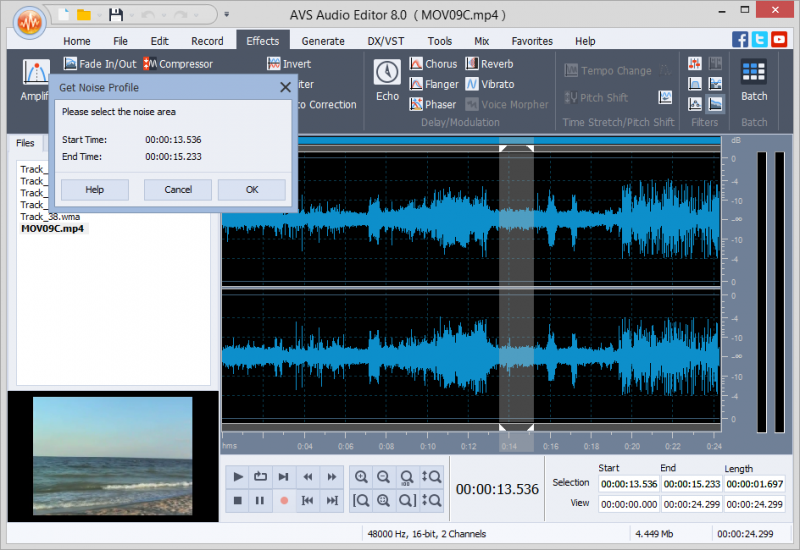 Edit recorded audio files, apply effects, save them in any key audio format. Extract and edit audio from your video files with AVS Audio Editor. Save them on PC or external hardware. See a full list of supported video formats. Edit an audio file and save it to M4R format for iPhone. Get a unique ringtone ready with AVS Audio Editor.